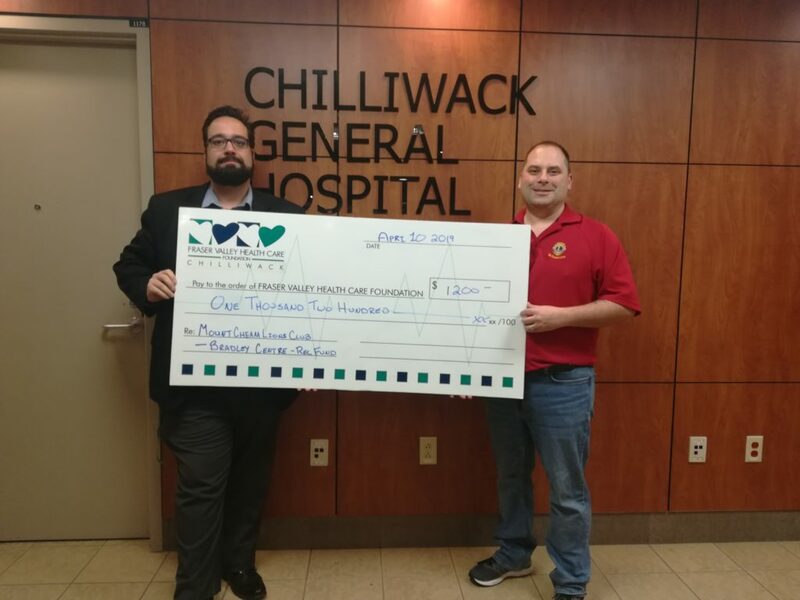 Chilliwack – Recently, Chad MacPherson from the Mount Cheam Lions presented the Fraser Valley Health Care Foundation with a donation to help residents of the Bradley Centre. Bradley Centre is a residential care facility at Chilliwack General Hospital that provides 24-hour nursing care in a secure environment for those with complex care needs. Residents are able to participate in recreation and activity programming. This includes weekly programs, gardening, crafts, bowling and entertainers. “We know that some residents do not have the income for simple things like getting their hair done, and some cannot participate in extra activities”, explained MacPherson. “We hope to ensure that no resident goes without access to things that make a difference in their lives”. 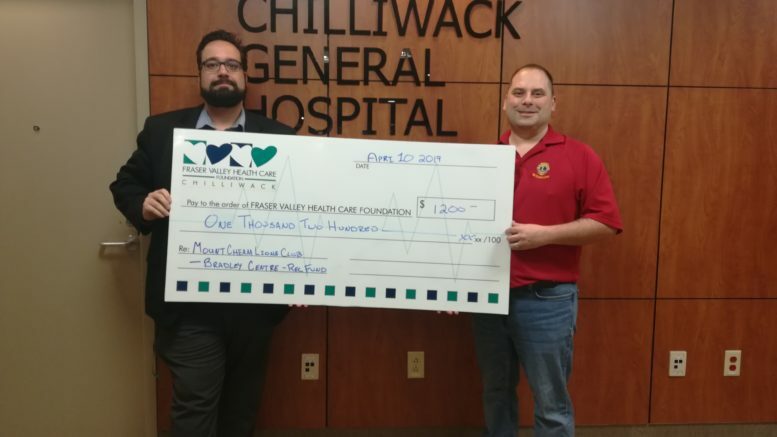 Be the first to comment on "FV Health Care Foundation Donates $1200 To Chilliwack’s Bradley Centre"